Juan Martin del Potro brought is own cheering section to the US Open, but in truth, the "gentle giant" from Argentina has the backing of the entire tennis world. 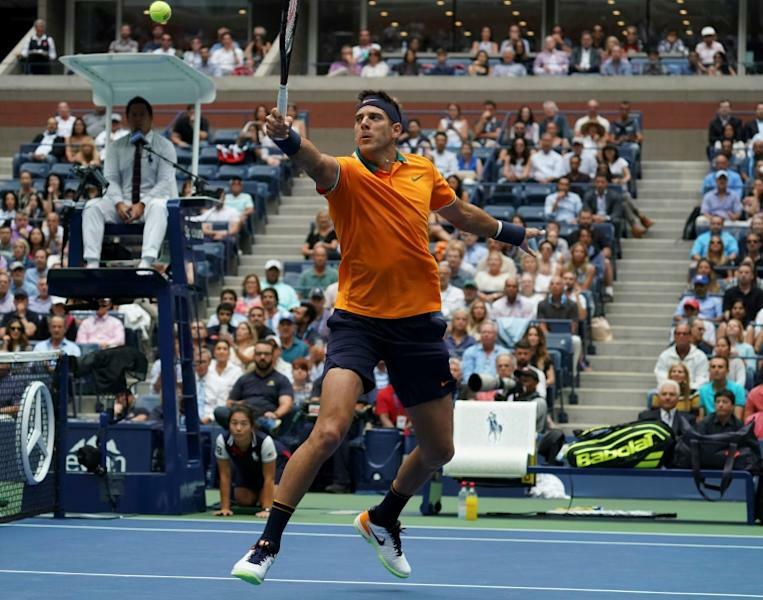 Even his rival for the US Open title, 13-time Grand Slam champion Novak Djokovic, has a hard-time rooting against Del Potro, the 2009 US Open winner who has painstakingly rebuilt his career after years of wrist injuries threatened to derail it. "He treats others the way he wants others to treat him," Djokovic said of the respect Del Potro commands in the locker room. "I think that's why people love him." New York fans took the "Tower of Tandil" to their hearts in 2009, won over by the soft-spoken player with the out-sized 6ft 6in (1.98m) frame and overpowering game. The love affair with New York runs both ways. "I won my only Grand Slam here," del Potro said. "When I was a kid, I mix watching soccer and the US Open, that's it. 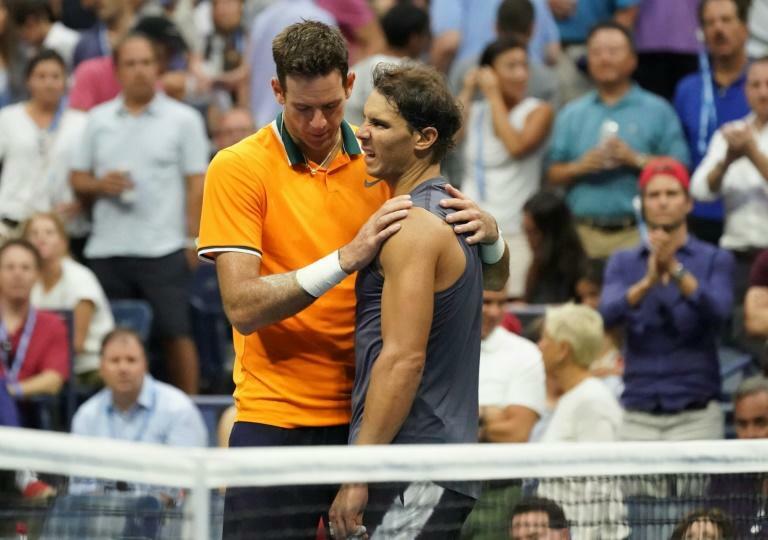 "I can't believe that I will have the chance to play another Grand Slam final here, which is my favorite tournament," del Potro said after reaching the final when defending champion Rafael Nadal quit their semi-final when trailing by two sets because of a knee injury. "It would be special to me. And in the finals, anything can happen." That sense of possibility was lost to Del Potro for years as he sought in vain for a solution to painful wrist injuries. Unable to defend his title in 2010, he reached a lowpoint in 2015, playing just four ATP matches. "I was close to quit this sport because I couldn't find a way to fix my wrist problems," he said. "I got depressed for couple of months also. That was the bad moment for me." The boistrous buddies backing him this week are the childhood friends who helped him through those dark days, but they aren't alone in their support for a player whose generosity shines through. "He respects everyone," Djokovic said. "He fights every match from the first to the last point. I think people can relate to that and appreciate what he brings to the tennis." There's plenty to appreciate in his game as well. The massive forehand and punishing serve of his early years remain, the two-handed backhand has begun to reappear, along with the slice backhand Del Potro introduced to reduce the stress on his wrists. Roger Federer, beaten by Del Potro in the Indian Wells final in March, was impressed by Del Potro's willingness to reinvent his game. "What's interesting is that he put himself out there with no double-hander (backhand) almost," Federer said. "I guess he knew it was going to probably not be enough against some players, but he was happy enough playing this way, which I admire a lot. "That's why I'm also very happy for him." His extended time away from the game may have denied the 29-year-old Del Potro a chance to elbow his way in among the game's "Big Four" of Nadal, Federer, Djokovic and Andy Murray. But his 10 career wins over number one-ranked players are the most by any player never to hold the number one ranking -- and further proof, Djokovic said, that Del Potro is among the elite. "That shows the quality that he has," Djokovic said.